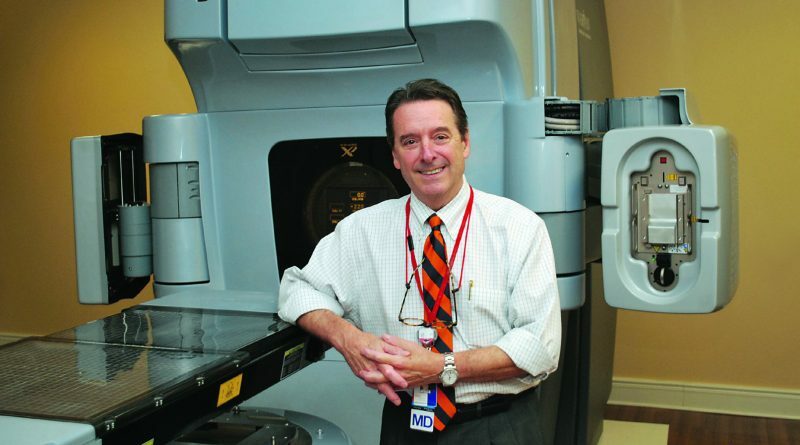 LOUISVILLE Nearly two-thirds of all cancer patients will receive radiation therapy during their illnesses1, and the Baptist Health Louisville Radiation Center is proud to offer its patients the newest technology and treatment services available. James Eckman, MD, has been with Baptist Health Medical Group and Baptist Health Radiation Oncology since 2009 and is excited about the therapy that is available to his patients. Baptist Health also has a Novalis® Radiosurgery unit, which provides a very high dose of radiation that lessens the amount of treatments a patient might need. “The Novalis was initially used for brain tumors, but now we are able to treat outside of cranial targets throughout the body, currently lung, spine, and liver tumors,” states Eckman. 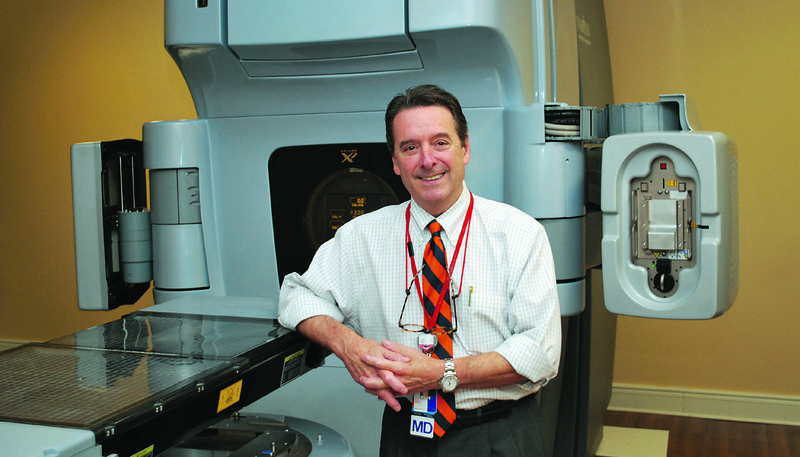 “The machine delivers a high level, very precise radiation dose in one to five treatments as opposed to the standard radiation therapy of 25 to 30 treatments, providing better tumor control, fewer side effects, and increased patient comfort and convenience.” Radiation therapy is an important part of the overall cancer program at Baptist Health Louisville and works hand-in-hand with other disciplines and services throughout the hospital. Most of the department’s patient referrals come from medical oncologists, and about 40 percent of patients are treated with combined chemotherapy and radiation therapy. The physicians also gather weekly at multidisciplinary conferences on breast, lung, and general cancer. Representing five different disciplines, medical oncologists, radiation oncologists, surgeons, pathologists, and radiologists come together to discuss the best therapy for five to six different cases each week. On top of the center’s multidisciplinary care approach to cancer treatment, patients also have access to nurse navigators that help guide them through the treatment process, a PET scan for post-treatment checkups, oncologic social workers for ancillary problems that might arise, and a cancer resource center that can provide additional help, services, and information for patients as well as their family members and friends. And the cancer center is always actively involved in clinical trials, researching different methods and ways to make treatment more effective and efficient. Eckman is currently the principal investigator for the NRG-B51 (RTOG 1304) federal breast cancer trial, studying breast cancer patients who have received chemotherapy that has cleared their lymph nodes and who might not need chest wall radiation therapy after mastectomy or nodal radiation after lumpectomy. And we’re all thankful for that.